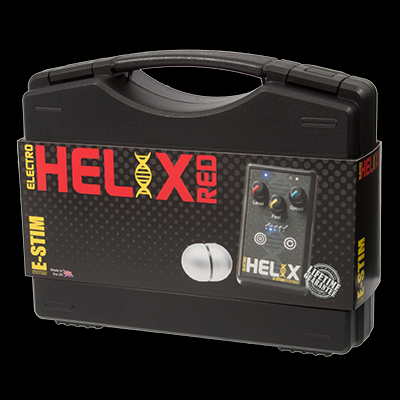 Welcome to your entry into the world of pleasure and sensation that E-Stim can bring. So when we wanted to update the Series 1 we knew we had to be careful to create something that had the essence or 'DNA' of the Series 1, but built on all the years of our experience. 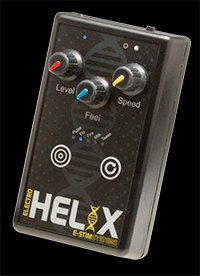 The ElectroHelix™ is the result. 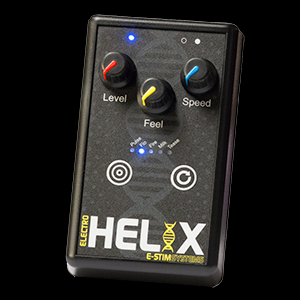 Smaller, lighter, with more power, more programs and more control, but still with all the functions of the original Series 1, the ElectroHelix™ is simply perfect when it comes to an starter electroplay unit. A smart 'little black box', it is not a 'rebadged' TENS unit, nor does it require a 300 page manual to operate. 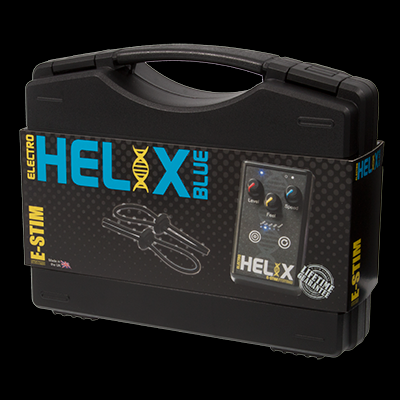 Simple to use, easy to enjoy, the ElectroHelix™ should be tucked into everyone's electroplay toybox.